1) An incumbant has never filed for candidacy prior to the midterm elections before. 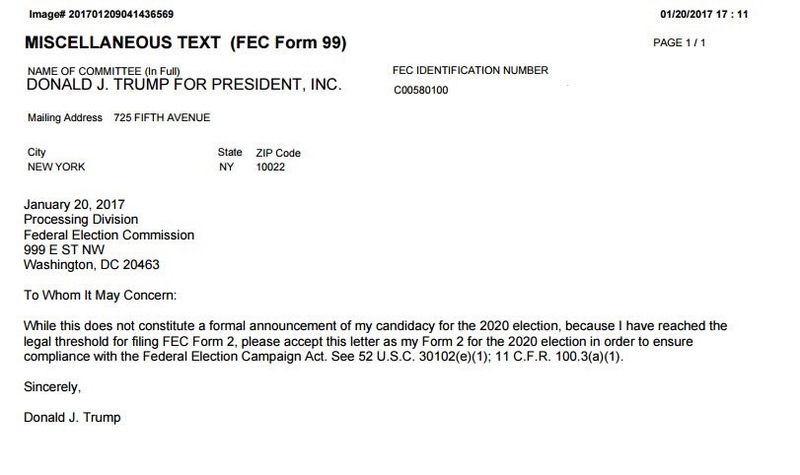 Obama filed in 2011 to prepare for the 2012 race. 2) If he is officially a candidate, he can use his candidate status to curry favor with PACs, businesses, and other organizations – different rules apply to his behavior than if he is Trump the president vs. Trump the candidate. 3) More importantly, this changes how non-profits can handle him. 503cs will not be able to “campaign” against him by speaking negatively about him or they will risk losing their nonprofit status. On the flip side, this will allow Trump to raise money from PACs so he can use propaganda against his enemies. Previous Previous post: Let’s All Troll the Trump Troll, Shall We?